Online rental company's newest delistings called a 'fig leaf' to stave off accusations of anti-Semitism in face of boycott against Jews. Airbnb announced that it will delist properties in regions of Georgia that have been occupied by Russia, Georgia Today reported. 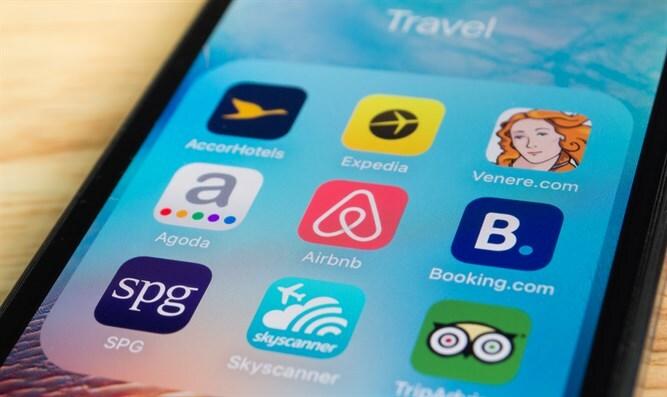 “In applying the global framework of these disputed territories, Airbnb determined that the existence of the listings in these disputed territories has a direct connection to the larger conflict in the region,” the company stated. The delistings apply to South Ossetia and Abkhazia. The move marks the first delisting of properties in a disputed area by Airbnb since its announcement that it would boycott Jewish properties in Judea and Samaria in November. The boycott of Judea and Samaria sparked accusations of anti-Semitism, as until now the company had not delisted any other conflict zone. However, critics were quick to point out the differences between between Airbnb's policy in Georgia and in Judea and Samaria. Professor Eugene Kontorovich, Director of International Law at the Jerusalem-based Kohelet Policy Forum, stated following the announcement: "Airbnb's attempt to put a fig leaf on their anti-Jewish discrimination actually only extenuates the extent of their discrimination in relation to Israel. He noted that all properties in the Georgian territories were delisted, while only Jewish properties were delisted in Judea and Samaria. "Having been criticized for only applying its supposed global policy to Israel, the company has now added some tiny obscure Georgian territories, occupied by Russia. However Airbnb's has delisted all properties in these regions, whereas with regard to the West Bank only Jewish properties were delisted. Far from alleviating their discriminatory policy, Airbnb's new fig leaf actually reveals the naked discrimination applied to Jewish-Israelis."